Search has become instrumental to the internet, with many search engines being considered the ‘homepage’ that many users navigate to when they go online. Search engines are powerful keepers of information in the digital age, but what powers them? On the Sleeky blog this week: we’re going to be looking into the most important aspect of optimising your website for search: meta tags. The Header tag tells the browser that what is written within is important information about the website, whilst the Body tags tells the browser what should be shown to the audience. The bread-and-butter of meta tagging for your website. The Title tag stands alone on its own and can often be found towards the top of the header tag in your code. The Title tag is different from the H1 tags in your body content: it tells the browser and other websites the main name for the supplied link. Your browser displays the title of the website you are currently viewing at the top of the screen or in the current tab you are looking at. Search engines or social networks use the contents of your Title tag as the main heading when links to your website are shared. It’s tempting to simply include your business or brand name in the Title tag and leave it at that. However, it’s important to note that each page of your website will benefit from having its own unique title tag. Not only will this help your readers to navigate themselves through your website, but it will also tell search engines that each page of your website is unique and important to note in its own right. Of equal important to your Title tag content, the Description tag allows you to give further context to search engines about what your page contains within. The Description shows below the main Title heading on search results in smaller text, allowing you to give additional information. Just like with your page Title, the Description should also be unique for every page of your website to really drive-home the purpose of each part of your site. The optimal length for your description is between 150-155 characters (slightly longer than a Tweet), which doesn’t give you much room to describe each page of your website. That doesn’t mean you can’t be clever however by optimising the description content with important information. If it’s a support, FAQ, Q&A or contact section of your site for example, be sure to include your contact information within so that users can reach you by phone or email without having to leave search. Users will respect you for divulging your contact information upfront, when so many others try so hard to hide or misdirect customers from reaching them. Of more importance in the increasingly sharable web is enriching your websites with icons, graphics and symbols which continue to brand your content when it is displayed elsewhere. You can create a generous helping of website icons for your site with Favic-o-matic, an exceptional service which turns your brand’s logo or emblem into handy logos for your site, compatible with a large range of devices. Whilst the above three meta tags are exceptionally important for your website, the following are additional extras which can further enrich your website even further. Although at first sight, not all that important, it’s worth keeping in mind. The robots meta tag allows you to specify whether a page should or should not be indexed by a search engine or if links on the page should be noted by search engines as important. There are four main configurations for this tag (it is set to ‘index’ and ‘follow’ by default. However, by using ‘index’ or ‘noindex’, you can tell search engines whether you would like your website to be included on search listings (index) or not (noindex). As well, ‘follow’ and ‘nofollow’ tells search engines whether you would like links included on your website to be tracked for relevance. Very important but easy to forget – the Charset tag tells the web browser and other services which character set or language your text is encoded in. If this is incorrectly listed, your symbols and punctuation marks may look odd, or not render at all on other peoples computers. For most English websites, the above character set ‘UTF-8′ will work fine and display any symbol typed from a British or American keyboard without fault. Not widely used but relevant for websites which have large teams working on many areas. You can provide an author name to ensure that other editors of your code will know who created that page to begin with, or simply to give credit to the website creator. When Google decided in 2009 to no-longer use Keywords as a ranking factor, many other search engines followed suit. The reasoning behind this was that many website owners were abusing the system by stuffing their sites with unrelated keywords in order to appear in more searches. There are many who now suggest that keywords are no longer important, or are even detrimental to your search engine optimisation. Regardless, who’s to say that other services or search engines will come around in future which do use this information? For the time being, it might not be worth your time to worry about Keywords in your meta tags, but let you content do the work for you by ensuring that each page of your website is relevant to your business purpose. If you enjoyed this blog, be sure to check back next week for Part 2 in which we will be focusing on meta tagging specifically for social networks. 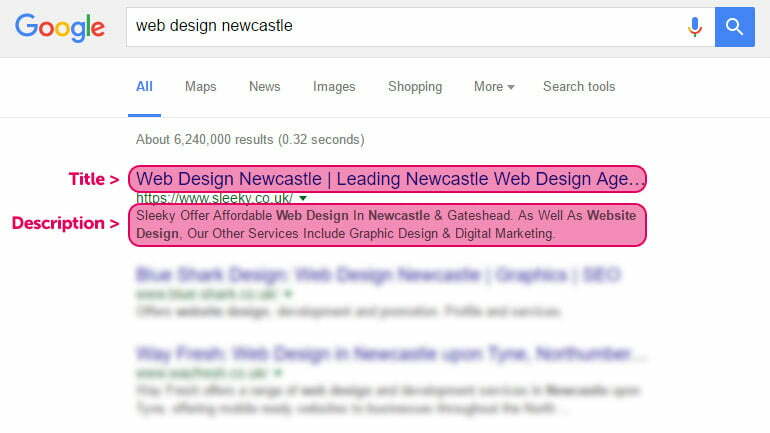 Would you like some guidance or a helping-hand optimising your website for search engines? Grab your phone and give us a ring, or send us an email. Words by Kerri Mark Sharp.